The Chinese zodiac sign Pig describes people born in the years 1923, 1935, 1947, 1959, 1971, 1983, 1995 and 2007. Individuals born in the Chinese zodiac sign Pig love the coziness and they need peace in their lives. They like to be active, but it should not be too much and so there should be room for relaxation and rest also in their leisure time. People born in the sign of Pig are tolerant and honest, because sincerity plays a great role in their lives. Someone born in the sign of Pig always wants to do everything right and therefore they need a lot of trust from their fellow people. Pigs prefer a comfortable life free of stress and they are everywhere searching for rest and peace. Their leisure time is very important for them to regenerate and therefore they will refrain from activities in these phases. People born in the sign of Pig are very open-minded and tolerant people with whom one can discuss anything honestly. Pig people try to do everything perfectly and always strive for not disappointing other people. Generally, they solve problems before they arise. Once people born in the sign of Pig take a person into their heart, they will help with all their might and opportunities and they will set aside their own interests then. The most important characteristics of people born in the Chinese sign of Pig are good-naturedness, tolerance, generosity and faithfulness. Pig people are open-minded and trustworthy and they love sincerity. Generally, one can describe people such as Pig people who lead a happy and content life as real lucky devils. They will get over defeats and backlashes very easily and always look positively into the future. People born in the sign of Pig are sociable fellows who feel very comfortable in the company of their family and their friends. They are excellent hosts who can perfectly entertain their guests and care for them. Pig people are very practically talented, very diligent and show great courage if necessary. However, even Pig people have some negative characteristics, like every other sign, too. People born in this sign can be very moody and stubborn and tend to be jealous and to split hairs in critical situations. Through the fact that they find it difficult to say no, Pig people will often get into financial difficulties. People born in the sign of Pig will often indulge in lust and tend to become lazy and undecided if one lets them. Sometimes their actions seem not very well considered and this will inevitably lead to problems. People born in the zodiac sign Pig are considered to be conscientious and stable and accordingly, they can work very hard. In spite of that, it takes them a while to make up their minds before starting something because they cannot decide whether to follow their ambition or their leisureliness. However, once they have decided, no one can stop them anymore, and they will accomplish their tasks in a reliable and consequent way, because behind their good-natured and somewhat leisurely character, there is a surprising determination. However, if they get appraisal for their work and people acknowledge their performance, they will get motivated to perform even better. Within the Chinese horoscope, the zodiac sign Pig is a symbol for luck and wealth. Therefore, it is no surprise that Pig people are not very thrifty. In fact, they are not able to manage their money well, because once they have some money at their disposal they will directly spend it. 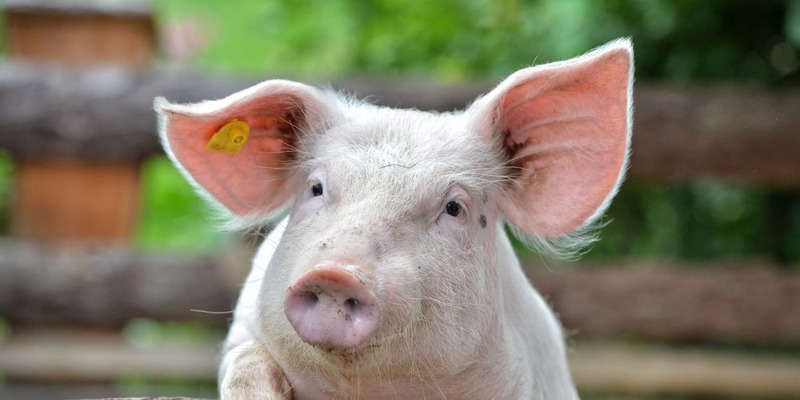 For people born in the sign of Pig, it is financially disadvantageous that they find it hard to say no when somebody asks them for help and therefore, they will generally not have much of the money left that have possibly saved. However, even if their bank account is empty, Pig people will never lose their humor and their hope, but will still trust in their luck. People born in the sign of Pig are normally ideal partners within a marriage. They are very faithful companions who are full of love, and they are always absolutely honest towards their partner. However, these people tend to be very jealous and to regard their partner as their property. Faithfulness is very important to them and whoever is unfaithful, will be outcast by the Pig. As lovers, Pig people are far from being boring, but quite passionate and they like to make sensual experiences. People born in the sign of Pig show their emotions openly and expect the same from their partner, too. Pigs will try to fulfil their partner’s wishes within their relationship, and they will also try to make their partner happy with all their might. People born in the sign of Rabbit are the most suited partners for people born in the Pig Chinese zodiac sign. Both share the same attitudes and are perceptive for sensual pleasures. Both signs love peace and harmony and have great understanding for each other. Trust is an important basis in this relationship and this contributes to a long-term and happy relationship in all aspects of life. A relationship between the signs Pig and Goat will also turn out well. These two signs will only seldom be of different opinions and enjoy doing almost everything together. However, a partner who is born in the sign of Snake will not be suited too well for someone born in the sign of Pig. This relationship could become very complicated since both signs have rather different life attitudes, which will increase in the course of time so that harmony will not arise in this constellation.